On April 30th, the Administrative Board approved a plan to replace the critical components of our HVAC system. These components are essential to heating and cooling the Sanctuary and Education buildings on our campus, and all are at the end of their usable lifespan. The prospect of sequential or simultaneous large failure of these components looms before us, and this could mean facing large capital expenses at unknown intervals, higher costs from the duplication of repair expenses, repeated interruptions in HVAC service, and multiple calls for financial support from the congregation. Our leaders have wisely chosen to address the need proactively, rather than waiting for an emergency. We plan to replace these most critical HVAC components at a cost of $528,000. FUMC Finance Team actively participated in the discussion of our options, and with the approval of the Administrative Board, they have developed a plan to meet this need by using a mix of retained earnings, new donations, and lending. To be more specific, approximately $151,000 will come from FUMC funds. The remaining $400,000 can be taken as a five-year loan from Texas Methodist Foundation. The loan will be repaid through our regular budget revenue streams. The Finance Team believes that our budget can handle the ongoing loan payments at that level, but we know that our ability to devote those budget dollars to growing ministries will be hindered by the necessary loan payment. Here’s where you can help. Any gift that you make to this project today will offset money taken away from the ministry plan budget for the next 5 years, so that we can use those dollars to fund life-changing programs through FUMC ministries. We have chosen not to approach this as a Capital Campaign, but rather as a simple, one-time request for gifts. 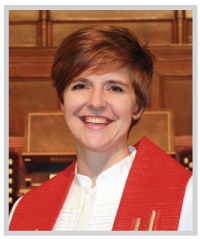 Your generosity has gone beyond anything I could have expected when I became your Pastor; it is truly a hallmark of FUMC. 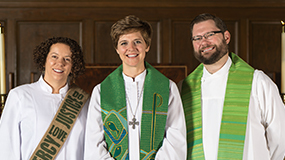 If you have the ability to help us accomplish this project with as little impact as possible on our ministry budget, I invite you to make a contribution today by returning the enclosed envelope. 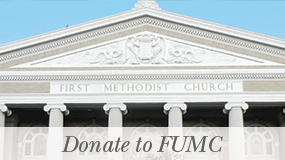 Donations can be made online in ChurchLife to our “Other Designated Fund” with “HVAC” in the optional memo section. You can also give by check in the offering plate on Sunday and reference HVAC in the notes.